In December of 2014, after working with Middle Tennessee on the transportation for Brooklyn, Brooklyn made the trek to Vermont and we finally got to meet her in person. As mentioned earlier, she was just the dog as described to us, there were no surprises, and exactly the dog we had been looking for. 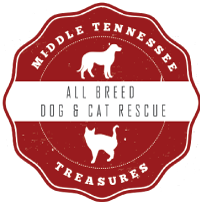 We want to express our sincere thanks to Middle Tennessee Treasures, These are people who work full time and have families, and yet find the time, energy, patience and kindness, not only to rescue so many innocent dogs, but to walk the uninitiated through the rescue adoption process. So, how is Brooklyn doing? Well, she has more or less made the transition to the cold Vermont winter (She does have a few coats however). 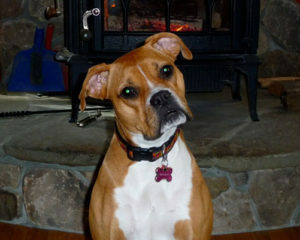 As you can see, she is pretty active outdoors, snowshoeing, walking/hiking, camping, and even riding a vintage snowmobile! One of her favorite activities is relaxing by the wood stove! Update: Brooklyn has new siblings and yes, they were all adopted from MTT! !